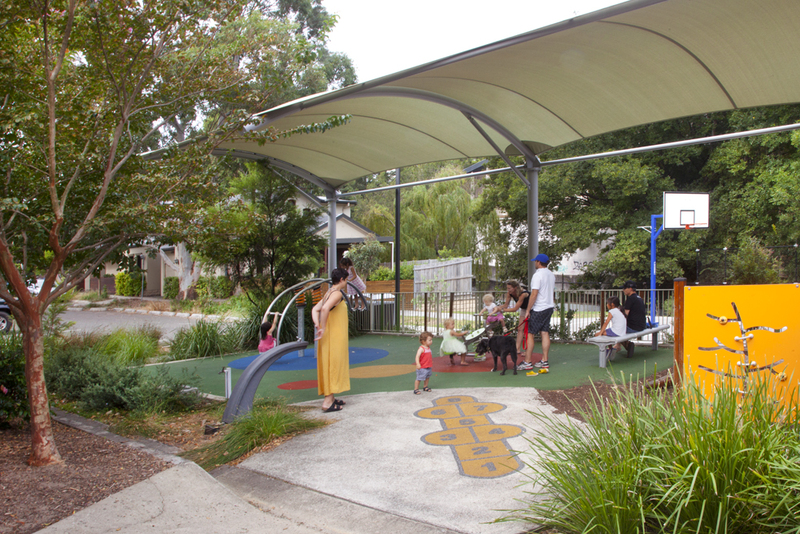 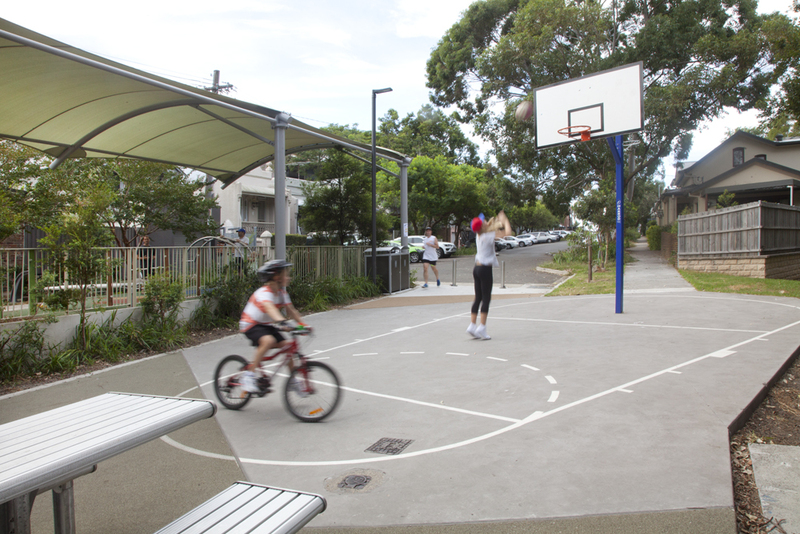 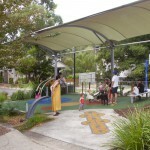 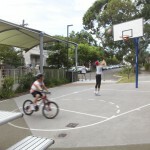 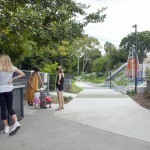 The Douglas Grant Reserve project is the third element in the Living Streets project in Taylor Street South Annandale. 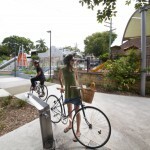 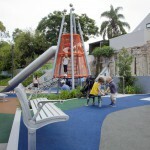 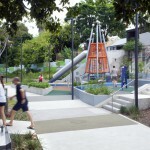 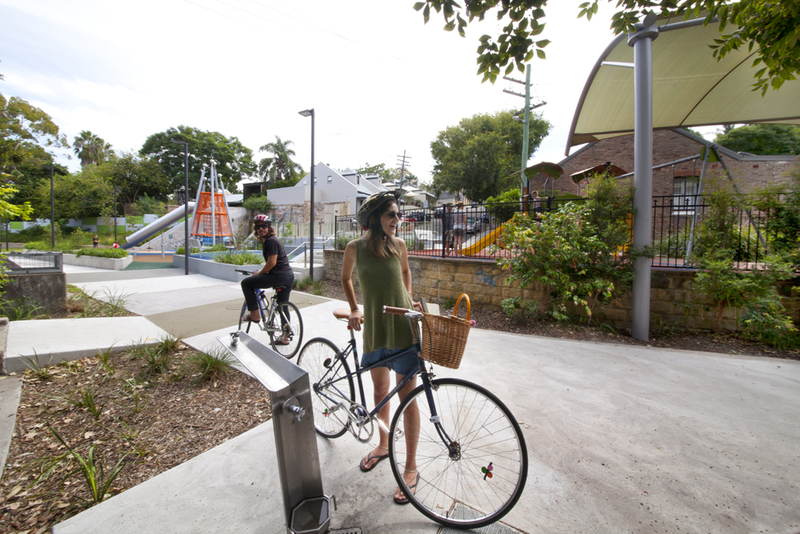 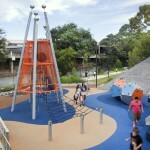 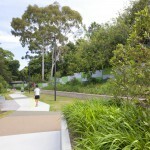 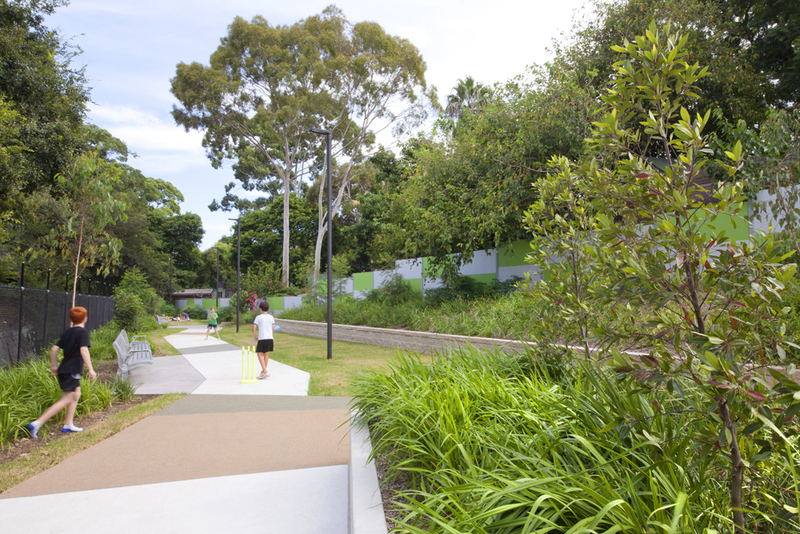 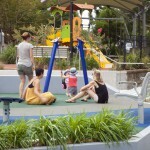 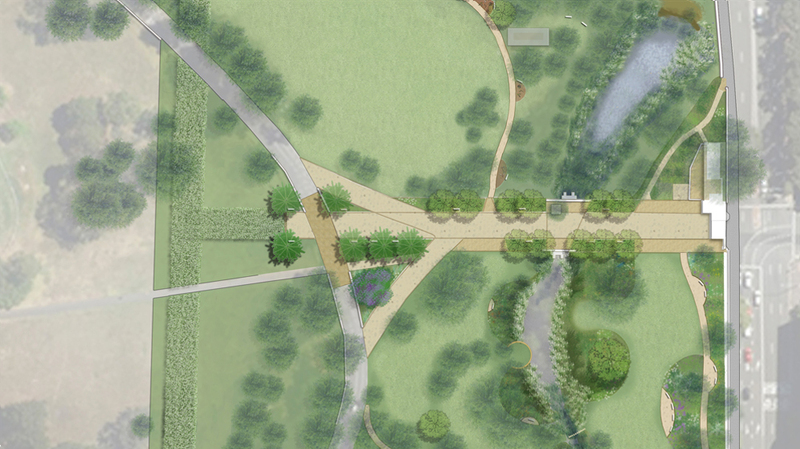 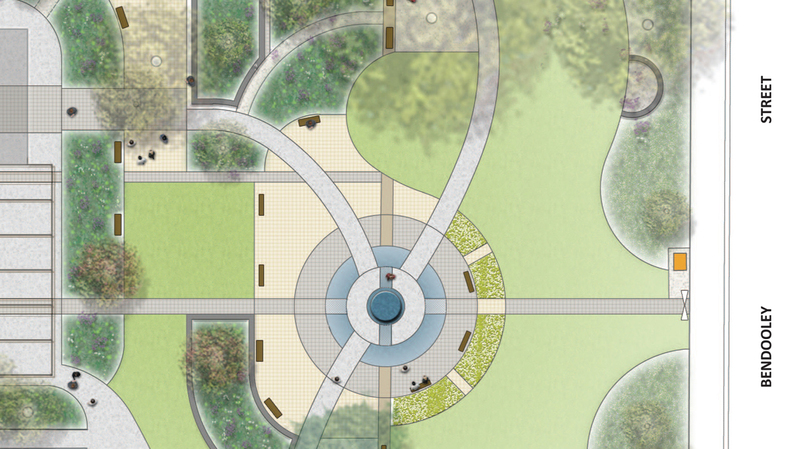 It involved the creation of a new park on former Sydney Water land adjacent to Johnstons Canal. 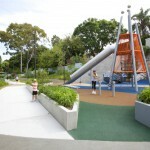 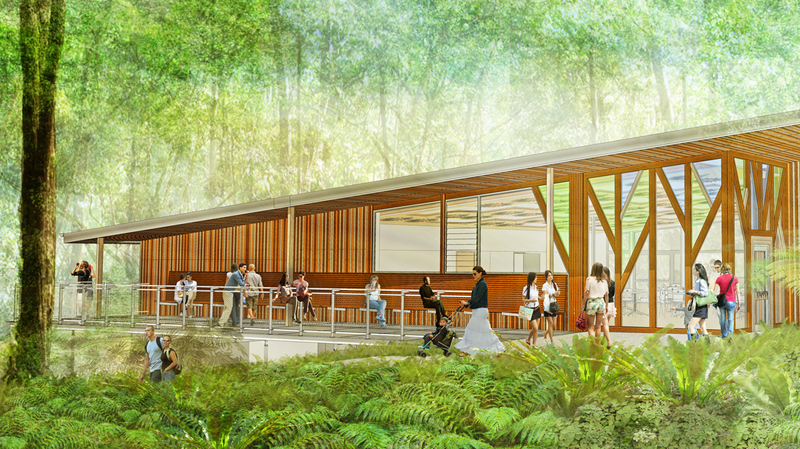 This project was subject to extensive community consultation. 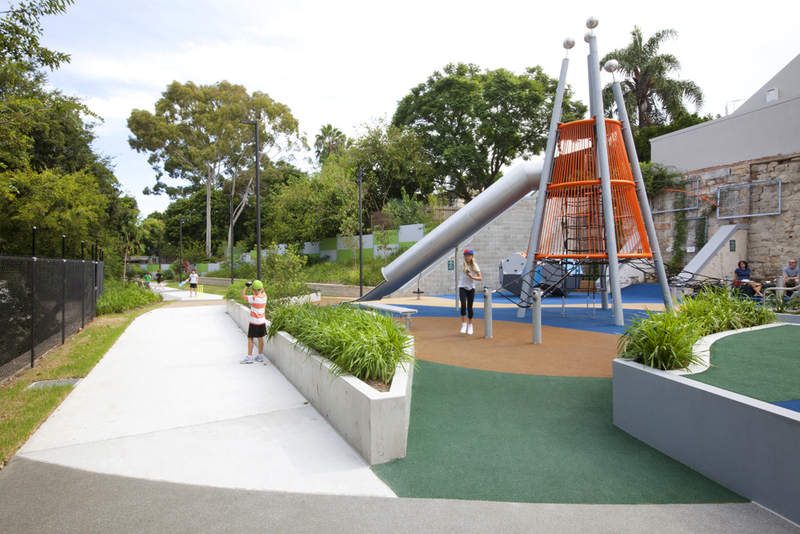 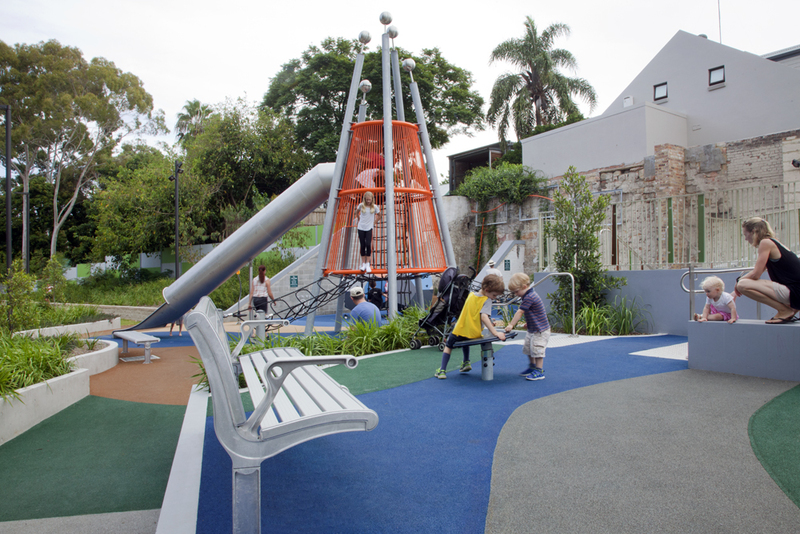 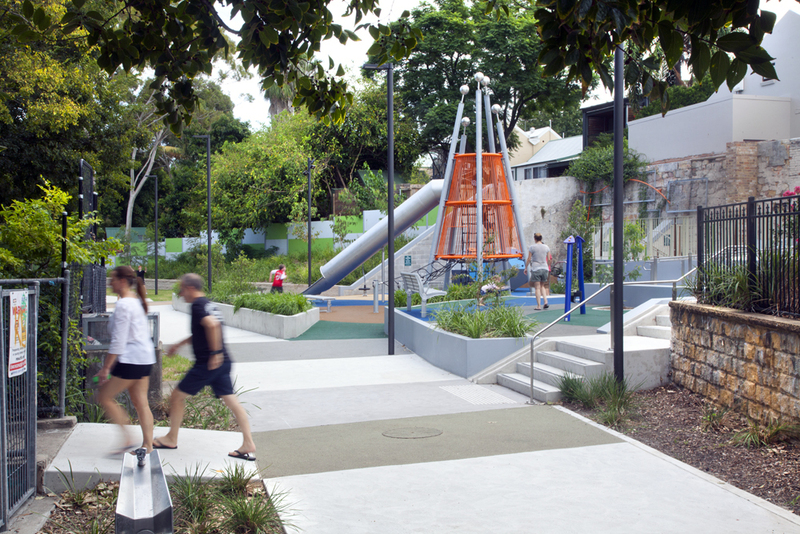 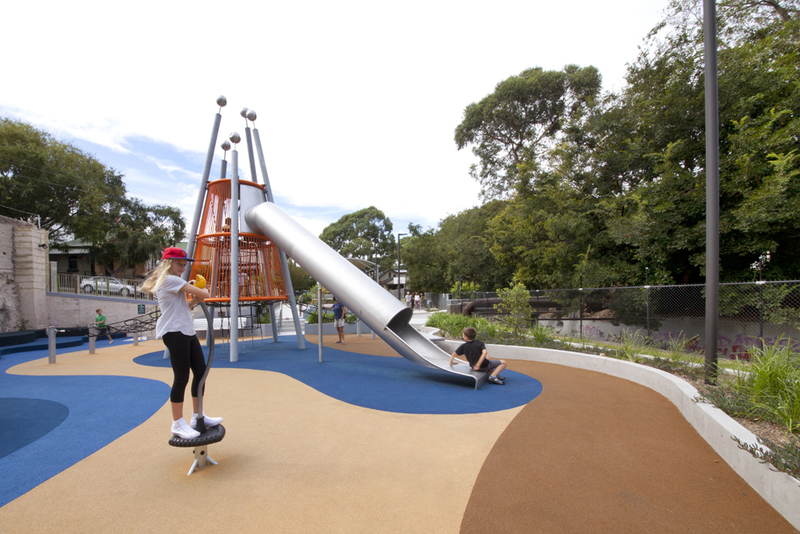 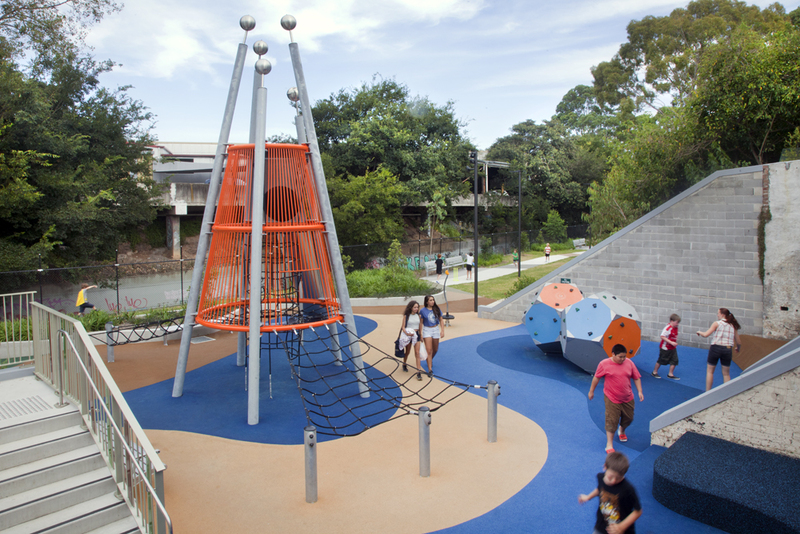 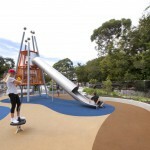 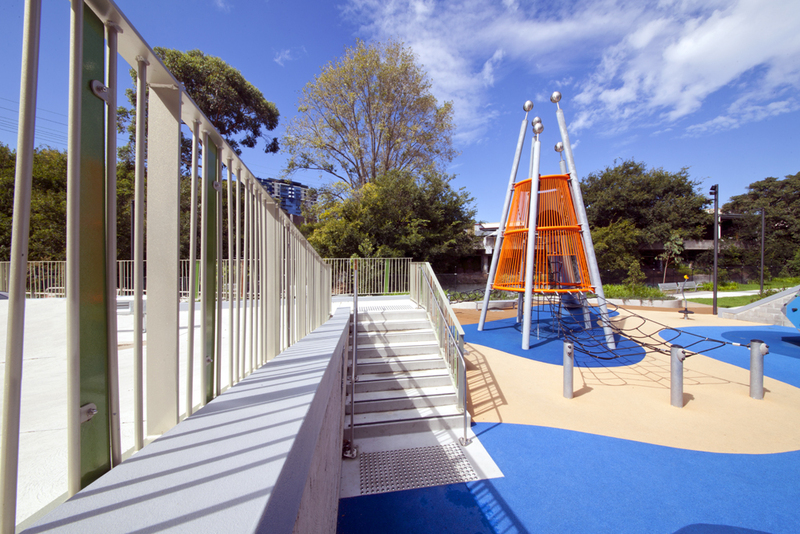 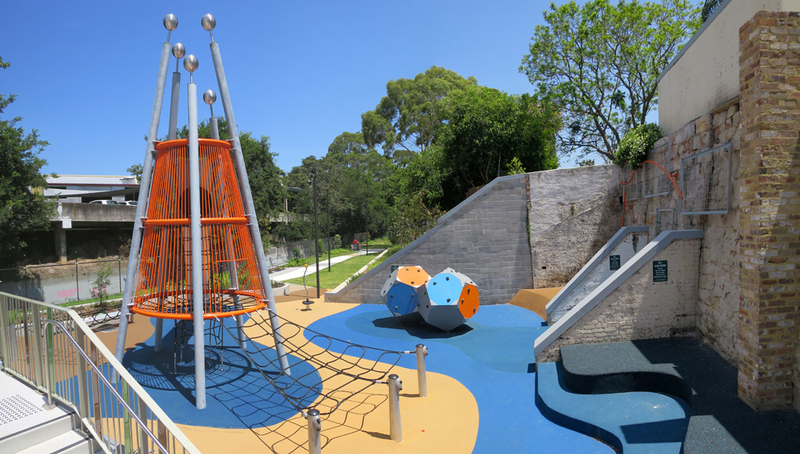 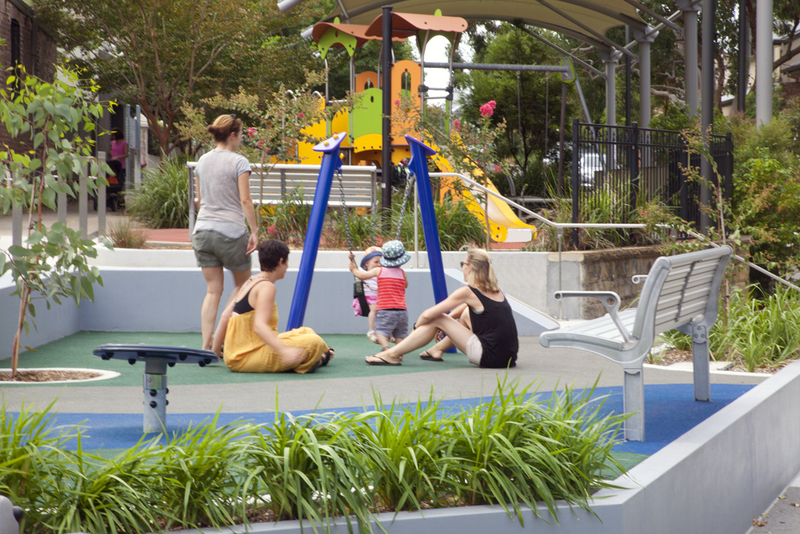 It has transformed a contaminated weed infested site with a disused factory, into a park and playspace with a variety of play equipment, including a large tower and a half basket ball court. 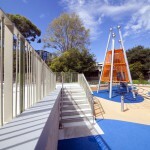 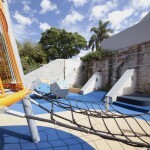 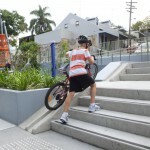 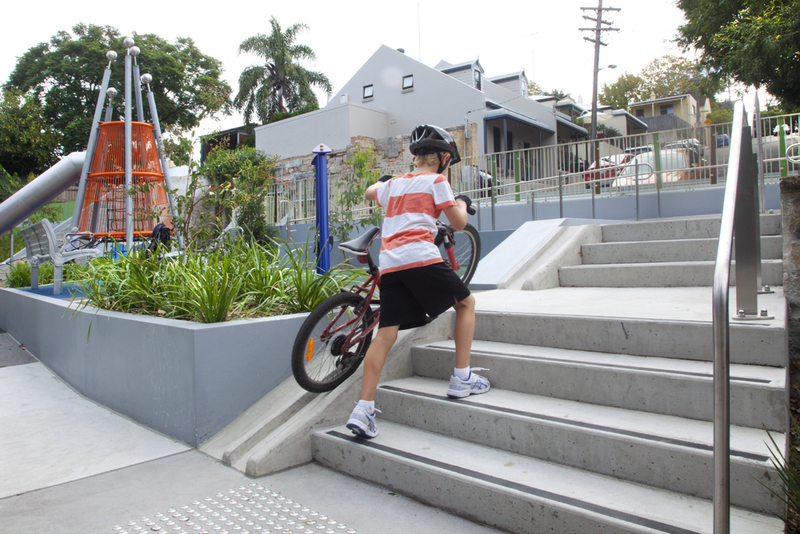 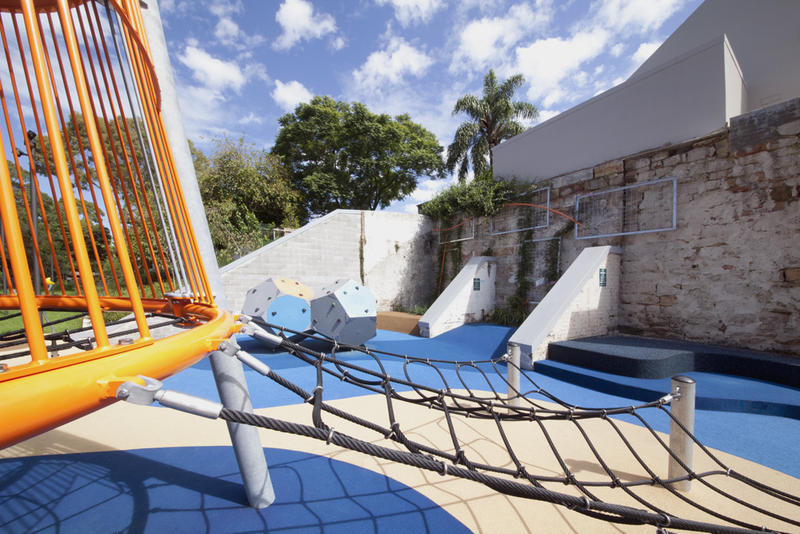 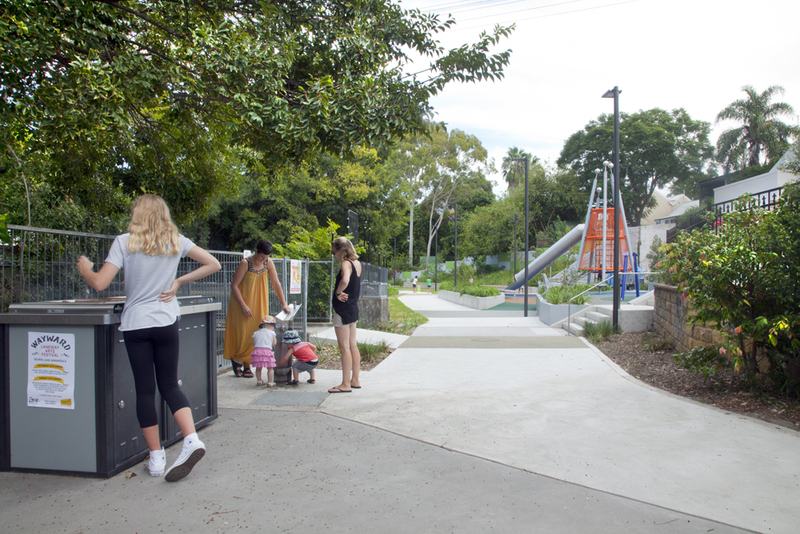 The site is 2.5m below the level of Chester Street to the west and required a range of steps and ramps to maximise the potential for the playspace. 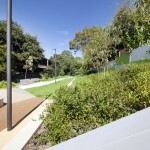 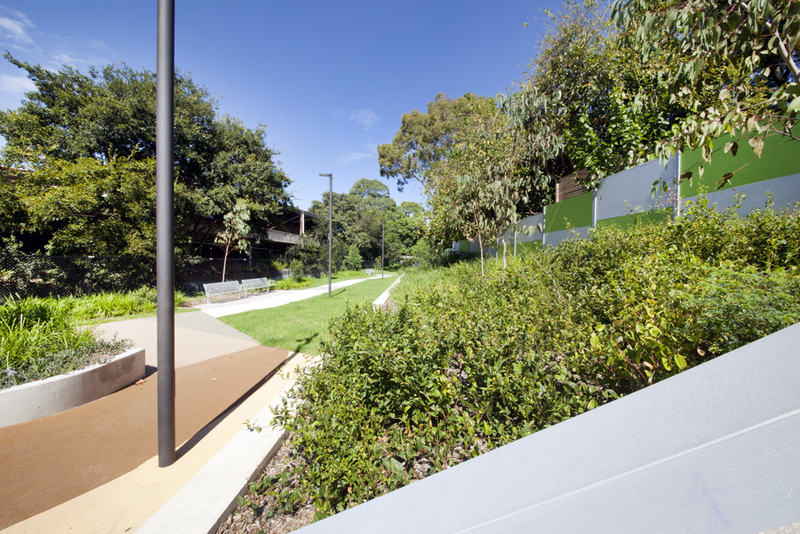 The project used customised fencing and planting frame details with extensive native trees and vegetation embellish the design and enrich the biodiversity of the local area.